People frequently ask me where they can buy a Tunis cake. Well so far this year I haven’t seen any in the shops but checking the Sainsbury’s website I see they are doing one again this year for £7.50. I wrote a longer article about Tunis cake last year which you may find interesting. 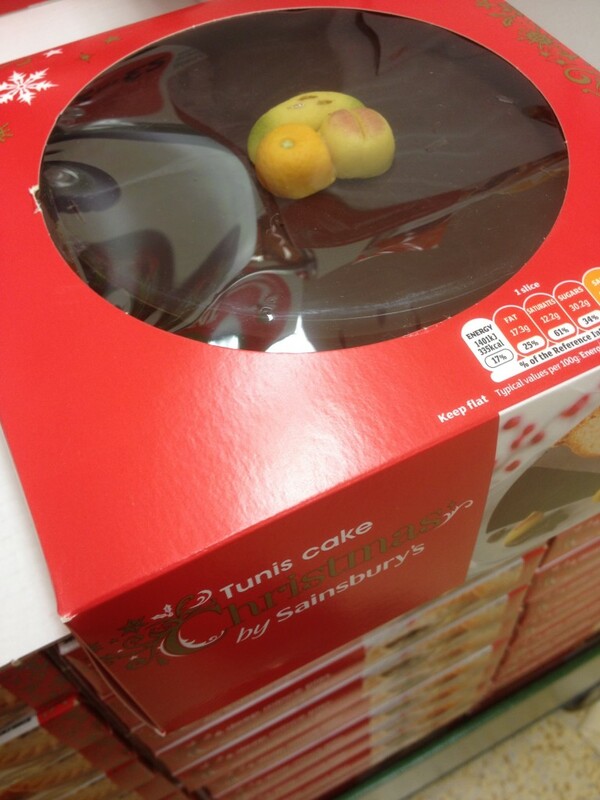 In the meantime if you see Tunis Cake on sales do please take a picture and send it through to me. I’ll post updates as soon as I see some in the shops.